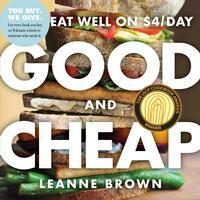 This recipe is from Leanne Brown’s book Good and Cheap: Eat Well on $4/Day. The book began as a project for her master’s degree in food studies at New York University to explore what eating well on a SNAP (food stamp) budget could look like—and from there, it went viral. The book is a great resource for anyone who wants to cook delicious food that doesn’t break your budget. 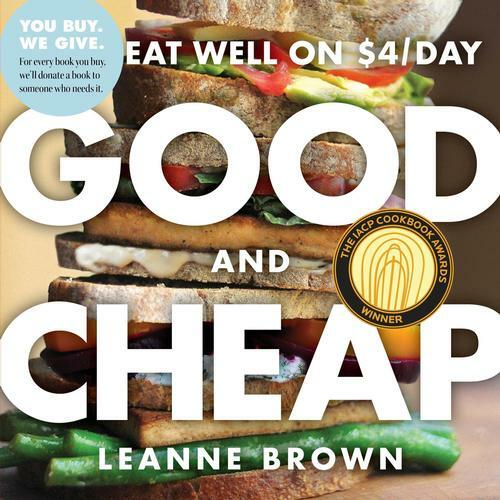 We use the book in many of our classes at the Culinary Literacy Center and hosted Leanne for a demonstration and book signing in October 2015. You can find if as a FREE downloadable PDF at leannebrown.com. 1. Combine the coriander, turmeric, cayenne, garam masala, smoked paprika, if using, and salt in a small bowl. 2. Melt the ghee in a small saucepan over medium-low heat. Once it begins to sizzle, add the cumin seeds and stir for about 5 seconds, until you can smell them. 3. Add the onion and saute until it’s a little soft, 2 to 3 minutes. 4. Add the garlic and cook for 2 minutes. 5. Add the ginger and jalapeño and cook for 1 minute longer. 6. Add the spice mixture you made earlier, then the puréed tomatoes. 7. Mix, then put a lid on the pan and let everything cook down, 5 to 10 minutes. 8. Once the tomato has reduced and the ghee starts to separate from the sauce, add the chickpeas and ½ cup of water. Stir, bring it to a boil, and then decrease the heat to a simmer. 9. Cook for 10 minutes, and then squish a few chickpeas with the back of a spoon to thicken the sauce before serving. 10. Garnish with the cilantro and yogurt.